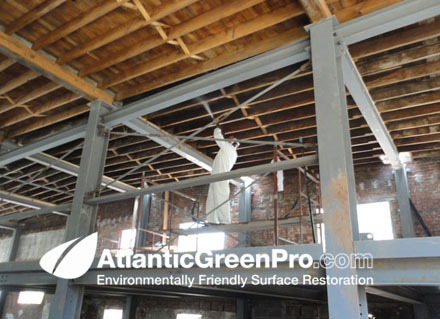 Atlantic Green pro wet abrasive blasting process removing paint indoors from concrete floor Note: How there is very if any dust and no watery mess. 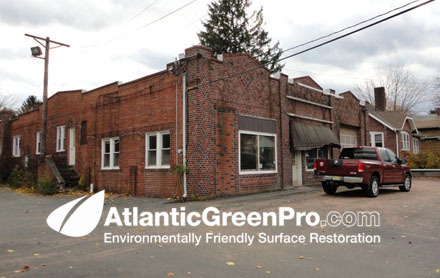 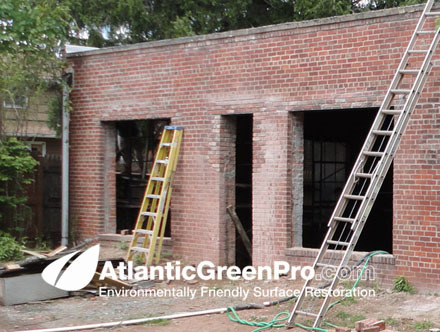 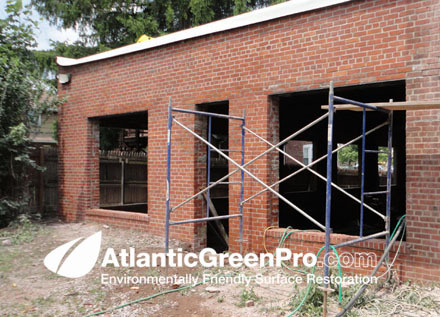 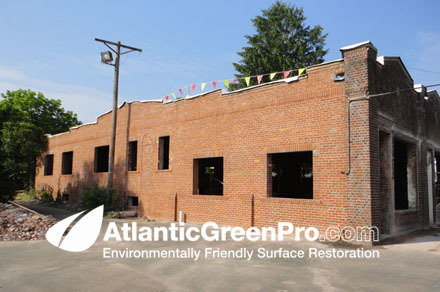 AtlanticGreenPro's process for restoring just about any surface to like new condition in the commercial sector. 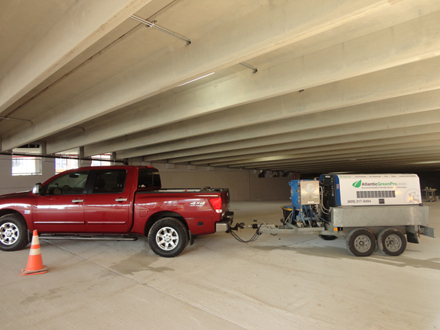 This is a recent surface restortion project Atlantic Green Pro did at the VA Hospital New parking garage expansion. 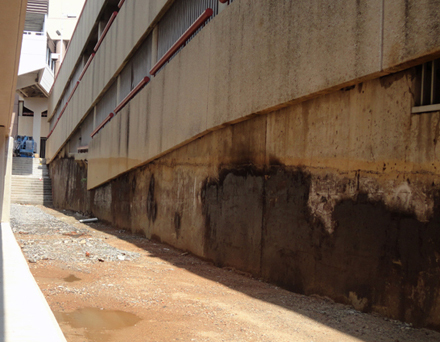 Before restoration this was the area between the old and new parking garage that had over 300' of black water proofing tar which had to be removed. 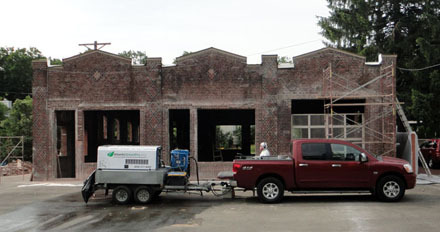 After restoration Our Farrow system wet abrasive blasting system was ideal for this project, because the work had to be done while the old garage was still in use, so containment of airborne dust was critical to the success of the project and with wet abrasive blasting there was no dust. 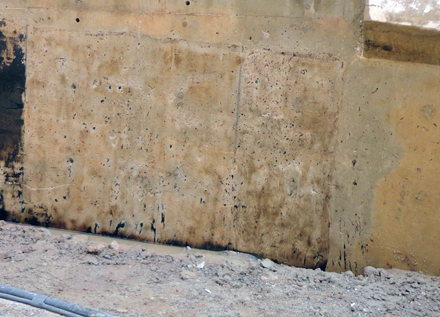 Before restoration This is what most of the wall looked like before we removed the black water proofing tar. 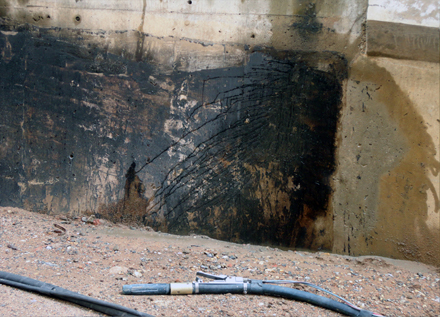 After restoration This is what the same area of the wall looked like after we removed the black water proofing tar. 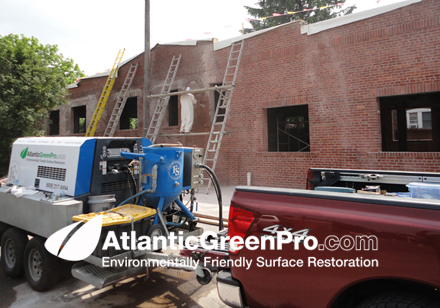 Atlantic Green Pro Equipment This is one of our mobile rigs, as you can see it has a very small foot print and can fit into most any project. 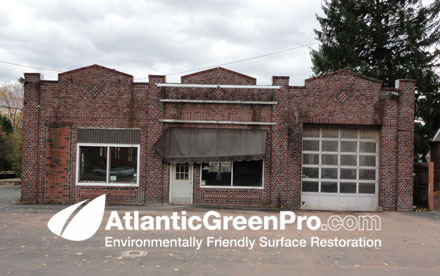 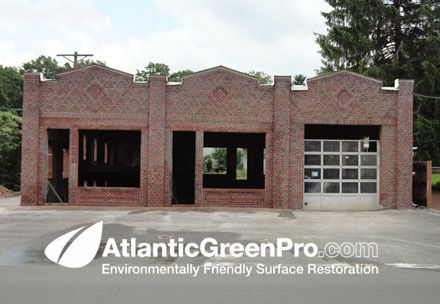 This was a recent surface restortion project Atlantic Green Pro did in Hopewell New Jersey were we helped in the conversion of an old car dealership into a commercial market. 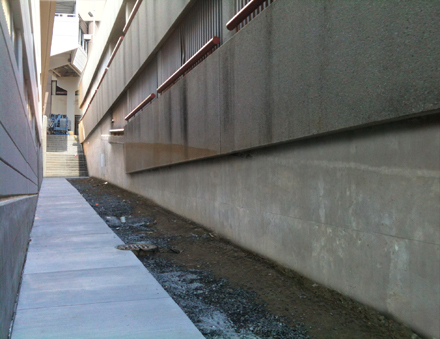 Before This is an area in the back of the building before we performed our surface restoration process.